Harman is drunk and is confessing love for Soumya. Harman shouts to his Gulabo Soumya that he loves her. Preeto and Harak get shocked. Soumya does not do what to do. Harman has made his family ashamed. Harman’s family gets embarrassed. Harman reaches the outhouse and shouts to Soumya. Preeto tries to stop Harman. Harman shouts and creates a scene. Neighbors come and get shocked hearing Harman, that he loves a kinner. Preeto is worried. Harak’s respect gets stained by Harman’s doings. Soumya is asked to stay away from Harman. Preeto is keeping them away. Soumya does not open the outhouse door. Harman asks her to open the door and shouts. Neighbors ask Harak what’s happening. Harak tries to cover up the matter. Preeto asks Soumya to open the door. Soumya comes out and everyone see her. 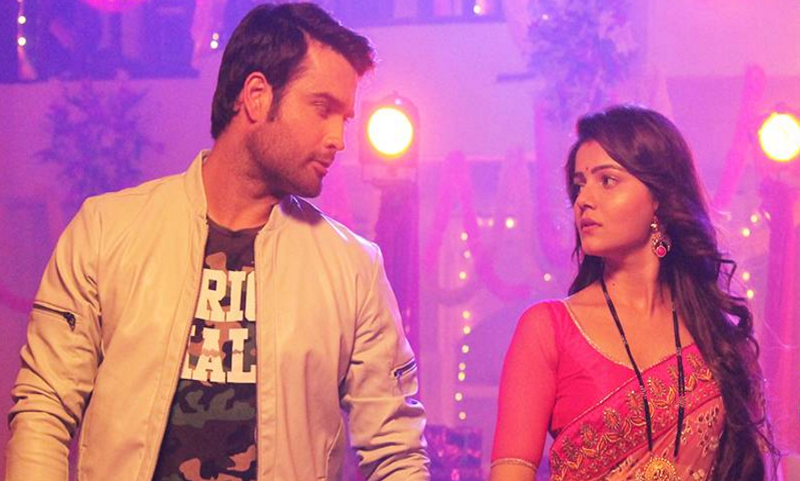 Harman confesses love to Soumya. Preeto’s plan fails by Harman’s step. Preeto leaves Soumya and Harman together to stop the drama. What will raging Preeto do now? Keep reading.